Billed as a Reggae/Ska/Party band…they are that and more! TooNice Reggae is from the beach community of Wasaga Beach, ON Canada. TooNice is a high energy reggae ska band, “under the influence” of Jamaican reggae (Bob Marley, Toots and the Maytals), SoCal punk ska (Sublime, Slightly Stoopid, Rancid) and British punk two-tone ska (Clash, The Specials). 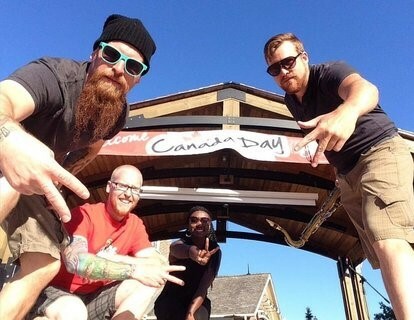 TooNice has created the reggae ska sound of The Canadian Shield!